We have learned how to work with check boxes, option buttons, and text boxes in Excel 2010 VBA in the previous lessons. 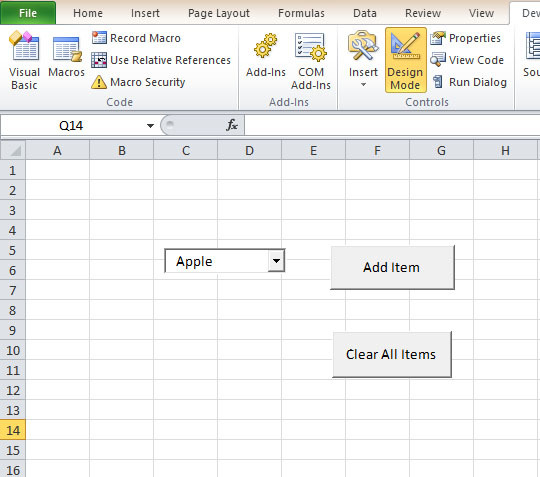 We shall continue to learn how to manipulate other controls in Excel VBA 2010 in this lesson. In this lesson, we will deal with List Box, Combo Box, and Toggle Button. 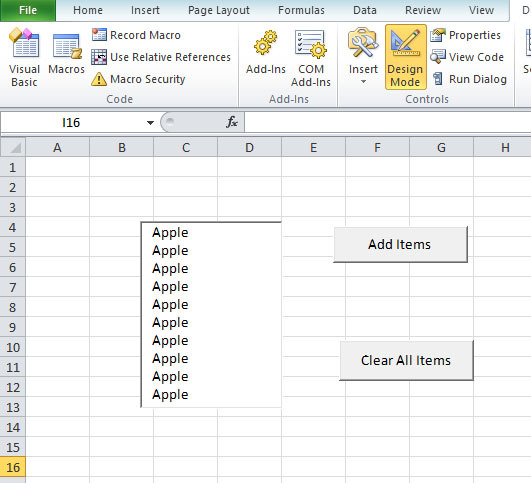 The function of the List Box is to present a list of items where the user can click and select the items from the list. To add items to the list, we can use the AddItem method. To clear all the items in the List Box, you can use the Clear method. The usage of Additem method and the Clear method is shown Example 23.1.